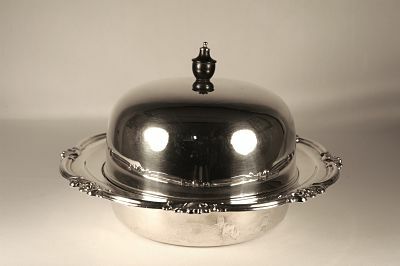 of circular form and in three parts: the main dish having a scroll and foliate rim; in this sits a silver plain tray; which is surmounted by a silver lid. 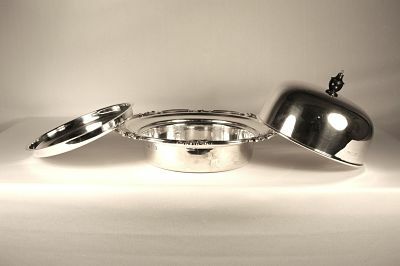 The ebony and silver finial is by Charles Sissons. 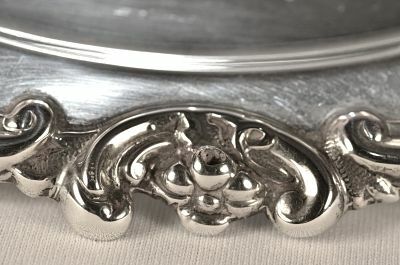 All pieces have a full set of hallmarks with the finial showing the maker and lion passant. A lovely item.